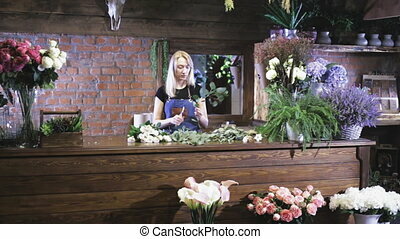 Florist wrapping flowers in paper at flower shop. 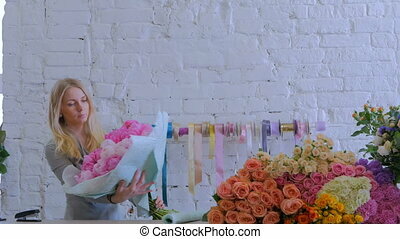 People, shopping, sale, floristry and consumerism concept - florist man wrapping flowers in paper at flower shop. 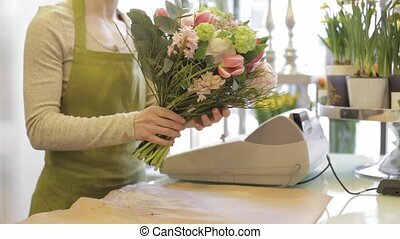 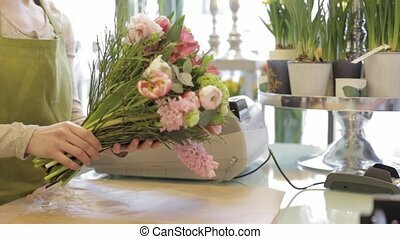 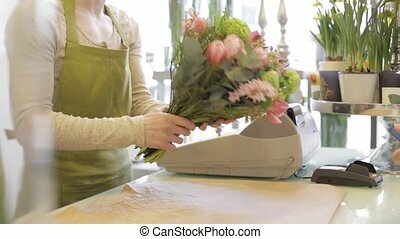 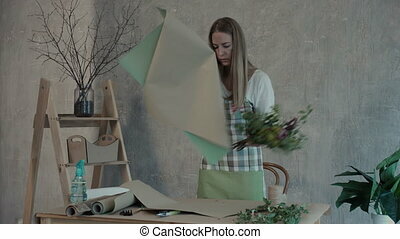 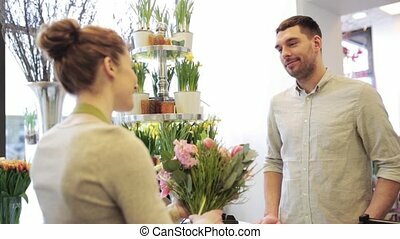 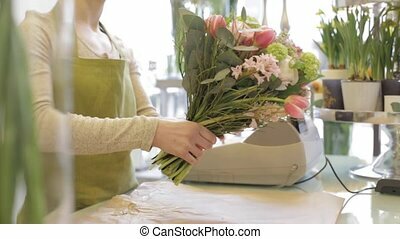 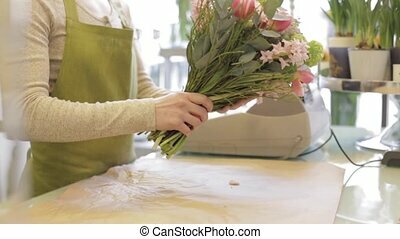 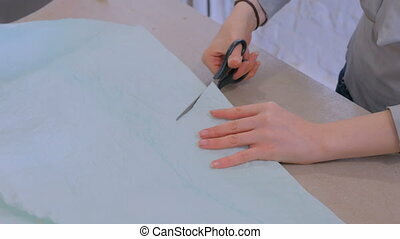 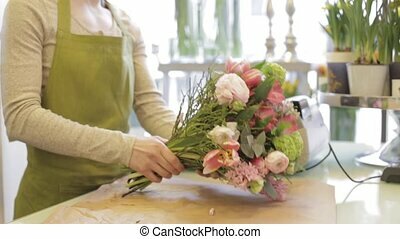 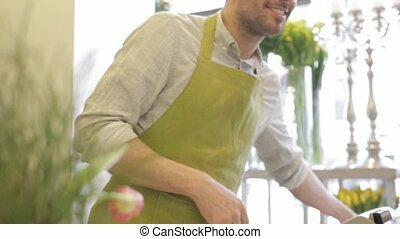 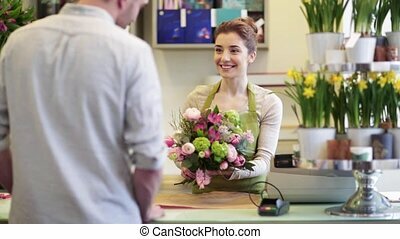 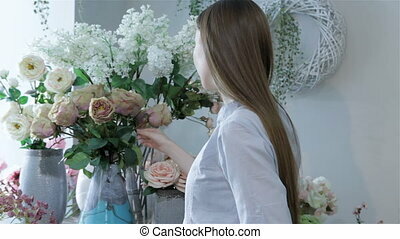 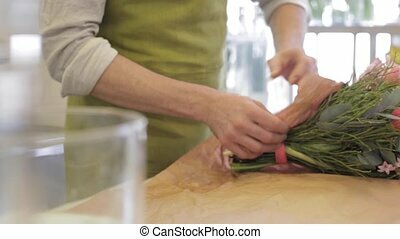 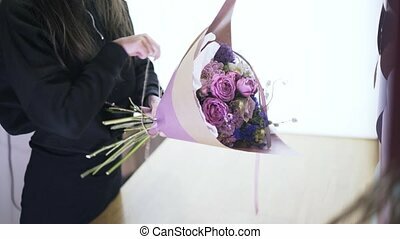 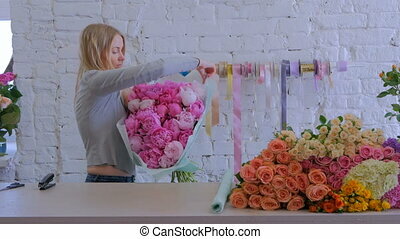 Positive attractive female florist in apron wrapping flower bouquet arrangement in wrapping paper at flower shop. 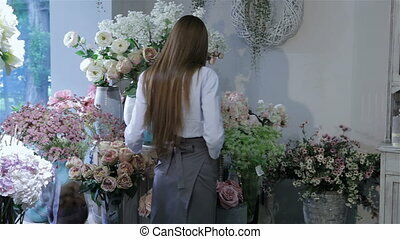 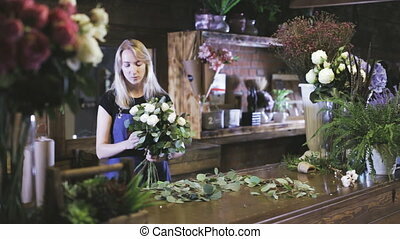 Professional florist creating beautiful floral composition at her workplace. 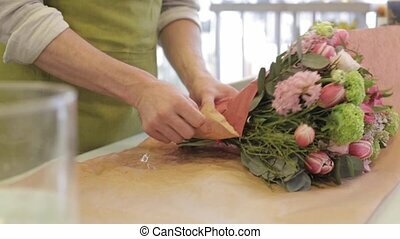 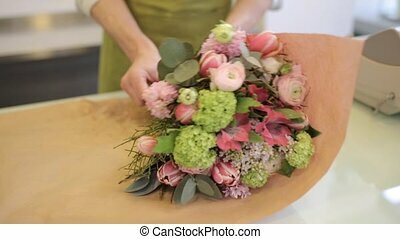 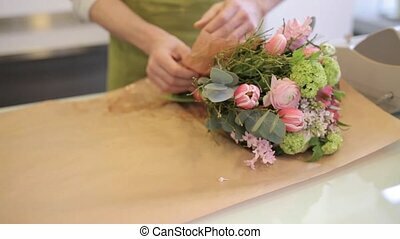 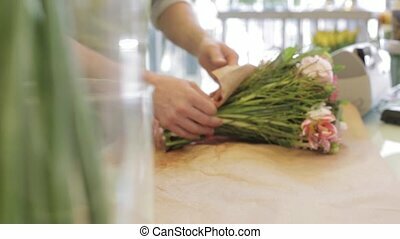 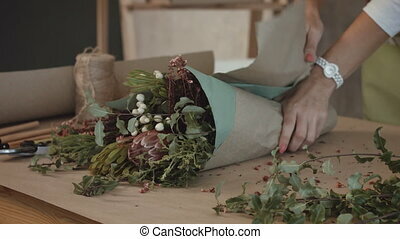 Closeup of female florist's hands wrapping fresh flower bouquet arrangement in kraft paper in flower shop. 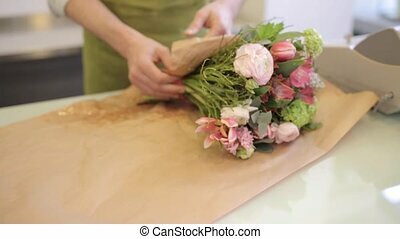 Professional florist packing festive bouquet in wrapping paper at workshop.